Crysat clear adds some elegance! This crystal clear plastic tablecloth measures 54" x 108". Our crystal clear plastic tablecloths allow for maximum transparency. Your tables will look elegant with these beautiful clear plastic table covers. Disposable works! When the party is over, cleanup is easy - just roll up the clear plastic table cloth and dispose of it. The price is quite cheap too. You pay no more than $1.75 for each clear plastic tablecloth. 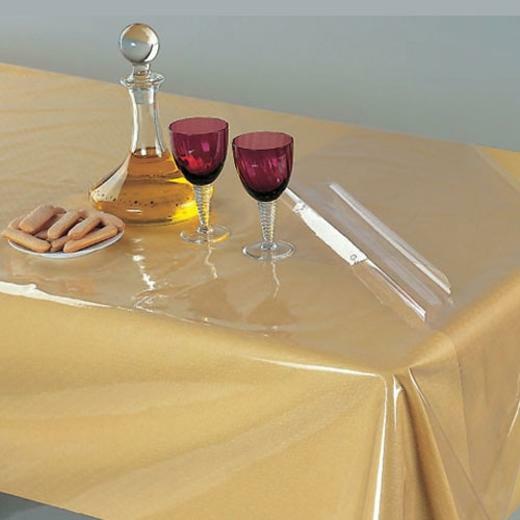 The price is perfect for buying these clear plastic tablecloths wholesale. Item is 100% see-through and is ideal for covering tables without obstructing what is underneath.